Google Spreadsheets is a Web-based application that allows users to create, update and modify spreadsheets and share the data live online. The Ajax-based program is compatible with Microsoft Excel and CSV (comma-separated values) files. In Gtmhub, navigate to Setup -> Data Sources screen. 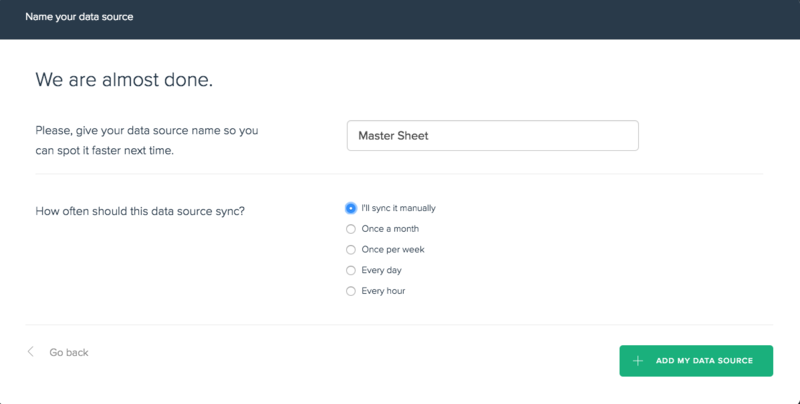 Note that when you select the spreadsheet you will be presented with a list of sheets inside the spreadsheet to choose from as your data source. 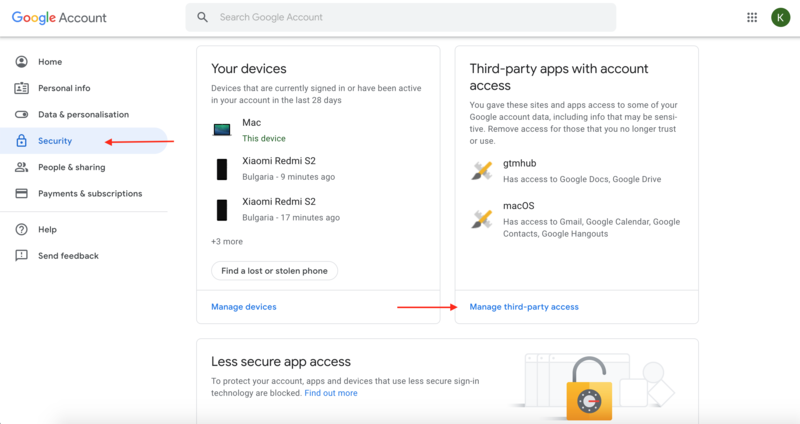 Click on "Security" section in your Google Account and on "Manage third-party access"
If this is not an option you can contact our support team for instructions how to revoke previous connections.